I LOVE giving away the products of my kitchen endeavors. Wow… THAT feels better… But this little secret is true. 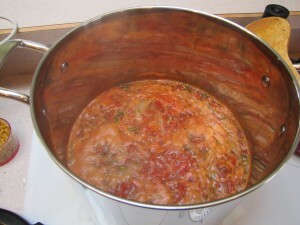 I love to give food away – baked, broiled, stewed, rolled, patted, chopped, and prepared within an inch of its life in the Slow-Cooker. Its my love language. (All of you who have read The Five Love Languages, YES, it is one of my love languages – in a rare and strange form) Now before you all run to shoot me your address, your email, your requests for food items … I shall clarify. What I love about gifting food is that I am usually inspired to do so at a time in that person’s life that they couldn’t imagine standing over a hot stove or grabbing a knife and creating something for fear of hurting themselves…or others. I’m talking about those life changing moments in our lives – surgery, new baby, illness, or just a day of putting their grumpy pants on – when you just need someone to take care of you. Recently, I had a giant pot of Minestrone Soup on the stove…its for a new Mama who just had her 4th baby…a tiny girl after 3 boys…and Girl is EXHAUSTED! The women around her set her up on a VERY cool website called Meal Train . Check it out, you who share my love language weirdness. Just a week after that, one of my co-worker’s husband was in the hospital with a severe case of pneumonia. With 3 young children and a busy life as a nurse, I knew the last thing on her mind after visiting her husband in the hospital, was preparing and/or buying food to feed her emotionally exhausted family. In this instance, I turned to the Pioneer Woman. Ree Drummond inspires me to cook, bake and love on people using the medium of food, and her recipe for Sour Cream Noodle Bake is a no-brainer solution to comfort food for those who need comforting. I also love to make food for my family. 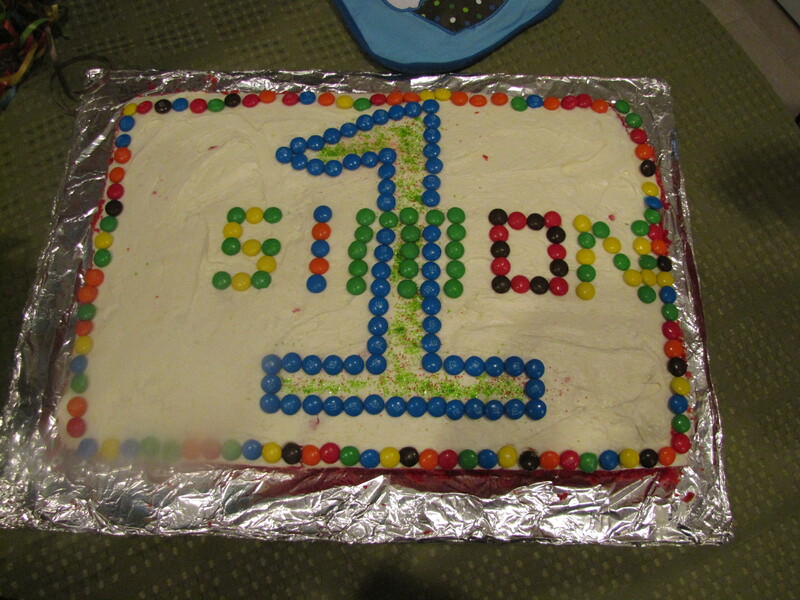 I usually try to make my kids’ birthday cakes. Not because I’m good at it…but because I love them so much, I want them to know that I willingly expose myself to the horrors of baking in their name. 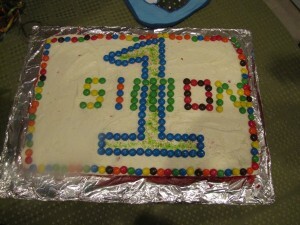 This is my son Simon’s 1st Birthday Cake. It might look fine to you right now…and, by golly, it tasted like a dream frosted in a dream…but it was ridiculous to get out of the pan…and came out in pieces (you read that plural right. Pee-Sez) Frosting, like a good foundation, can cover a variety of blemishes. #1 – Give food in disposable containers (or tupperware you want to be rid of). 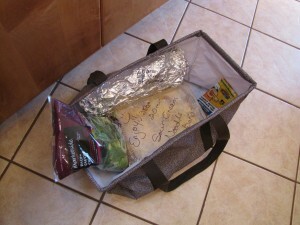 It eliminates the all-too-familiar Mount St. Tupperware that accumulates in a food receiver’s home. #2 – Make something BESIDES lasagna. Unless that is your signature dish. Then forget I said anything and hopefully one day we can meet and hug it out. Have fun with it. Be inspired. Be the food you want to see in the world. Loved reading what you had to say about gifting food! I love to cook, and love to share it with those around me. I too make cakes for my kids birthdays, mostly because I think they cost too much to buy. They are far from professional, but they always taste good and I like making them. Hopefully it will be somthing they always remember. You have inspired me to add the ones I have pics of to my FB page.